Yak Attack is a live electronica power trio from Portland Oregon. ... The band draws on influences from a wide spectrum of electronica, such as house, drum and bass, and breakbeat, along with elements of jam, funk, and jazz. Come get down to this LATE-NIGHT dance party... 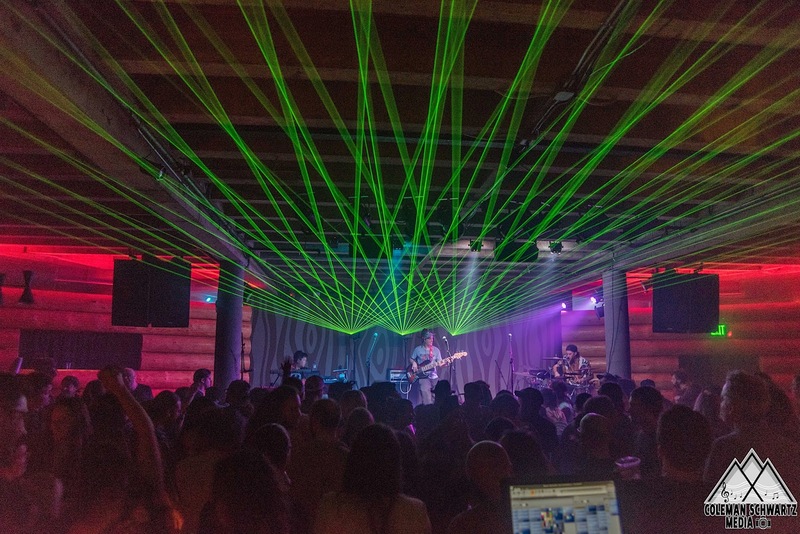 Think Sound Tribe Sector 9 (who they are touring with) and you get a glimpse into what a raucous and electric good time this show will be at One Eyed Jacks in New Orleans. GET YOUR TIX to this show here NOW in advance. TIX will also be available at the door of OEJ (on night of the show - all night from 8pm til 5am) . Yak Attack has been selling out local and regional shows and has developed a reputation as "the region's go to late night act" in the summer festival and afterparty circuit. 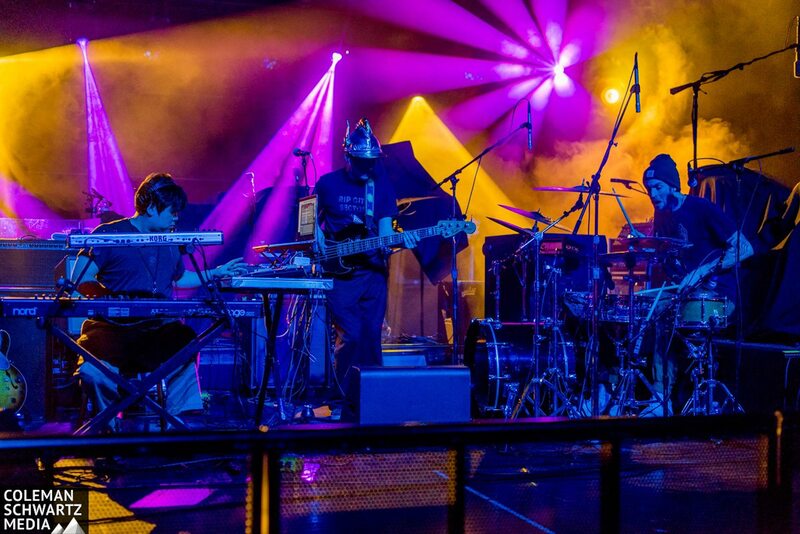 Fresh off a round of touring supporting jamtronica heavyweights STS9 and Sunsquabi, the band has also shared the stage with established or up-and-coming acts such as Fruition, Turkuaz, TAUK, Pigeons Playing Ping Pong, and The Magic Beans. After releasing "Safety Third" on Ropeadope records in 2018, the band is currently recording their fourth full-length album, and about to embark on a packed festival schedule including national events such as Camp Bisco and Jazzfest. 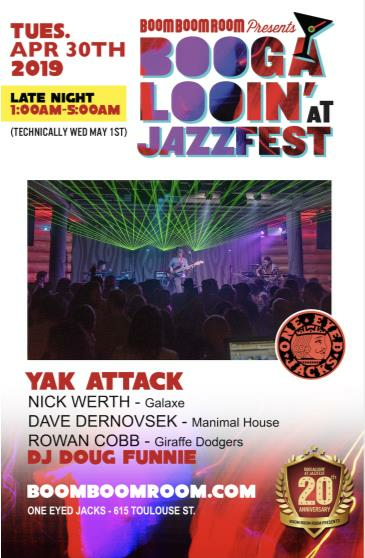 Watch for Yak Attack to bring its unique dance party to a venue near you.